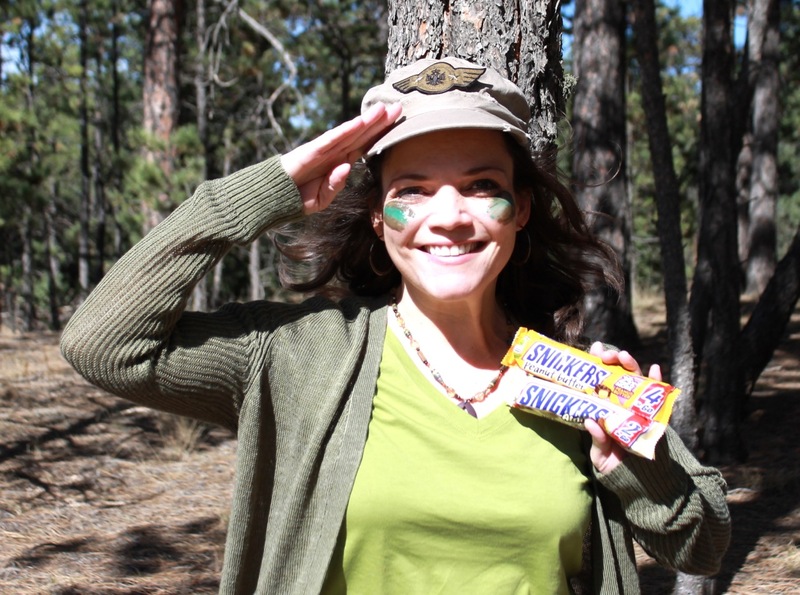 Find out why I’m a Marine mom when I’m hungry, and download a FREE Armed Forces Activity Pack for kids! I don’t know about you, but there are days when I am stretched thin. You know the days – company is coming over and you still have to put the turkey in the oven, clean the bathrooms and kitchen, and put away four loads of laundry. Yeah, those days. Sometimes I’ve got more to do than I’ve got room for on my list and I get so busy I forget to eat. And then… I get hungry. Now normally I am a very mild mom, and I try hard not to get all worked up over much of anything. 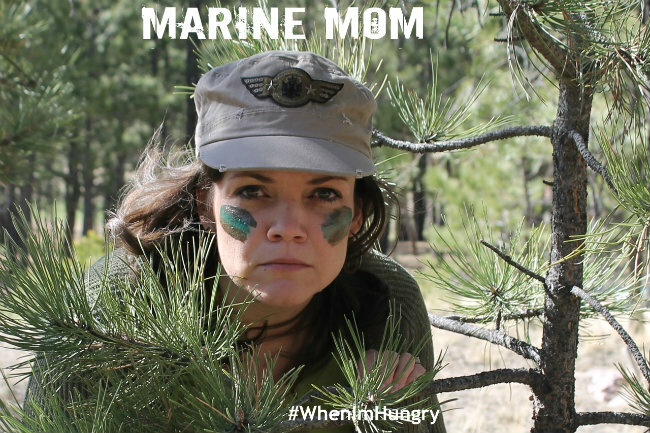 But if you compile the craziness that comes with being the mother of two precious little boys – both five and under – with the debilitating set-back of hunger – well then, you might just meet Marine mom. This post was previously compensated by Collective Bias, Inc. and its advertiser. All opinions are mine alone. #WhenImHungry #CollectiveBias. I say this with all due respect for our armed forces. My dad served as a Marine and I have heard some amazing stories about his experiences in boot camp and as a reservist. He knew how to shine his shoes and belt buckles and he “ran a tight ship” at our house. I have nothing less than an awesome respect for him, and for the men and women who serve our country every day. But when I’m hungry, I can hear my dad’s voice in my head, “Ahhh-TEN—–tion! About face. Forward ho! Hut-two-three-four…” Normally he’d be goofing around with us when he chanted Marine orders, but the fun memory of it still sticks in my mind. And so it goes for me with my boys, “I’m going to count to three… one… two…” I rarely make it to three, because when mommy starts counting, the boys get in line. Now like any good Marine, I like to keep a stash of snacks in my backpack in case my day is so crazy that I forget to eat. Those are the days I succumb to a hunger attack. 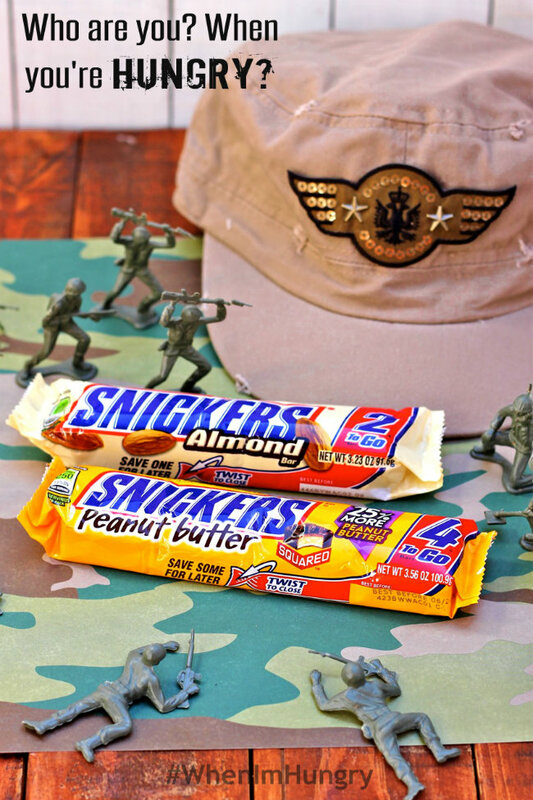 On those days it’s a relief to find a SNICKERS® in my pack. “Be prepared,” my dad would always say. Roger that dad! SNICKERS® are in the pack. In honor of my Dad and the military men and women around the world serving our great nation, I’ve created a fun printable activity pack that you can use to introduce young children to the branches of the United States Armed Forces. It includes coloring, matching, align & count, puzzles, and do-a-dot painting activities for kids. 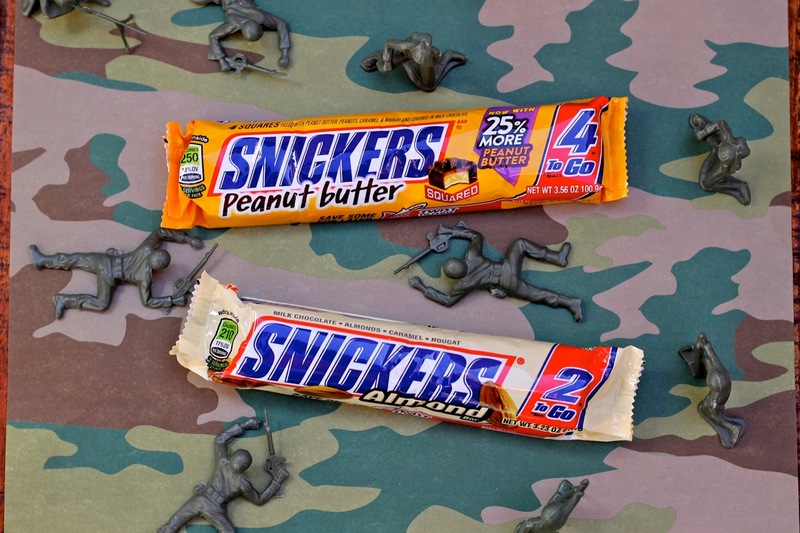 SNICKERS® Who are you when you’re hungry contest? 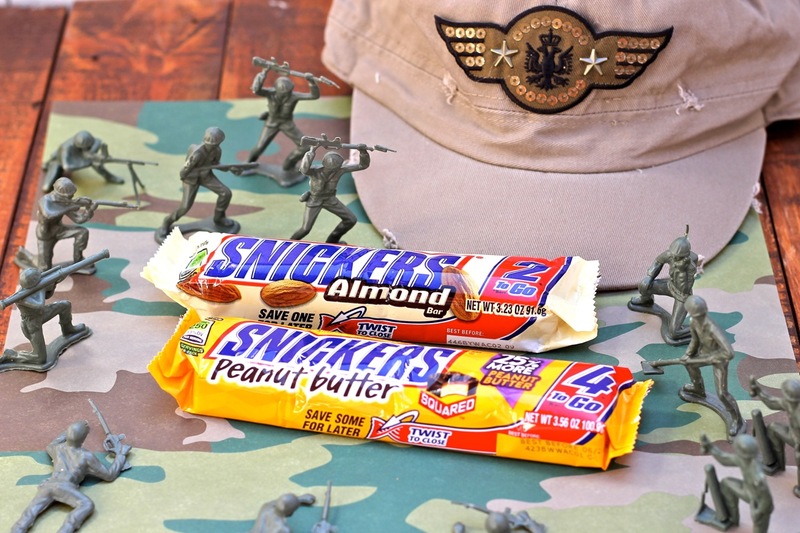 If you love chocolate as much as I do, you are probably a SNICKERS® fan! SNICKERS® wants to connect with the people who enjoy eating SNICKERS® so they’ve created a “Who are you when you’re hungry contest.” Make sure you enter to win and have fun expressing why you may not be yourself when you’re hungry. Are you hungry? Look no further than your local Circle K store. 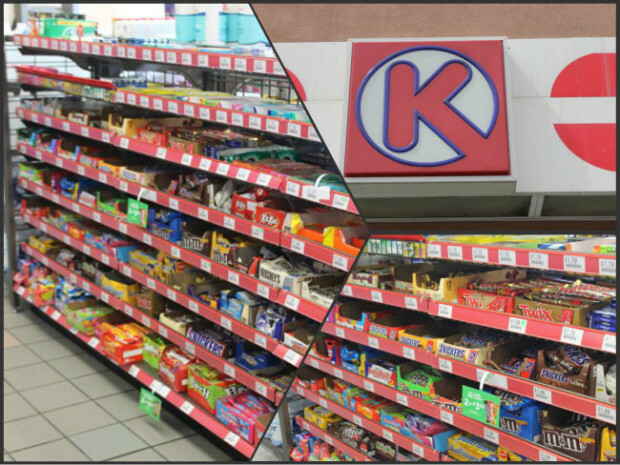 You’ll find all varieties of Snickers in the candy aisle including the SNICKERS® Extreme, Peanut Butter Squares and SNICKERS® Almond that I keep in my backpack for hunger emergencies. Who are you when you’re hungry? Ever find yourself turning into a Marine Mom when you’re hungry? Who are you when you’re hungry? Please leave a comment below and join the conversation. I love hearing from my readers! Thanks for being a fan! Do you have a board for fun contests or Mommy tips on Pinterest? Help spread the word and PIN this post on Pinterest! Thanks Sharon! I’m so proud of Dad – He loves our country and I just feel blessed to be his daughter. What an awesome service our Armed Forces sacrifice for our country. This was a fun post to write and I’m proud to say I’m a “Marine Mom.” Thanks for your encouraging comment! This is a fun post! I am a Marine wife, Army mom, and Snickers lover. I downloaded your printable to use with my in-home preschoolers. Thank you! So wonderful to meet another mom with preschoolers and Marie wife! 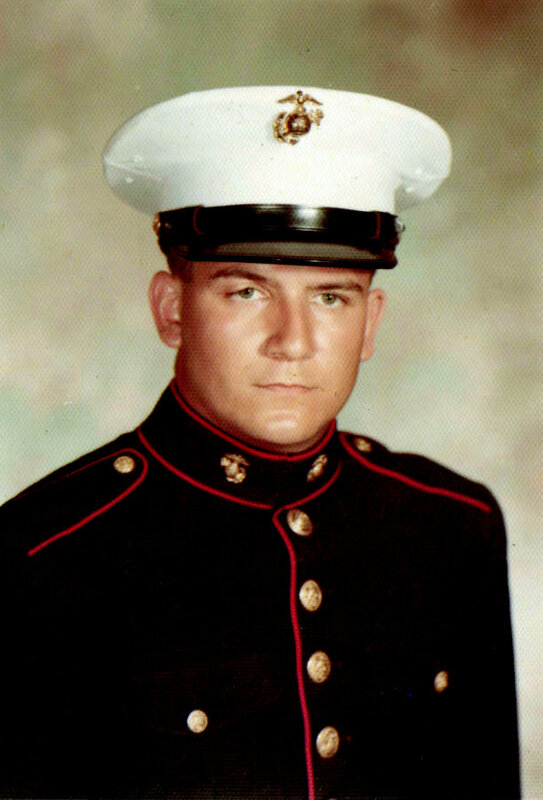 Thank you and your family for all the sacrifices you make for our country. Our family is indebted to you! I’m so glad you like the printables. If you take a pic of you guys using them send me a pic and I’ll add it to the blog post with a link to your blog! 🙂 Have a great weekend! I did your armed forces packet with my daycare, and they loved it. The puzzles and the coloring but most of all they loved the cutting pages. Thank you for such an amazing post! I was going to write a post about it on my blog and wanted to link to you. I am just starting out but I want to give credit where credit is due for such an amazing packet. April – that sounds wonderful! Send me a photo and I can add it to the post and you’re welcome to come back and levee a comment with a link to your blog post. I know readers are always looking for great ideas. I’m so glad you like the printable set! Hi I would love to download but the link button is missing. My son just became a Marine in January. Hi Sherry – I added a new download button – is it working for you now? First, you click the yellow button. Then a smaller window will pop up. It will say “Get your free printable” in red on the bottom. Add your name an e-mail and click the red button. You’ll see it thinking, then it will say Download your Free Printable. Click it again and you’ll be taken to the printable. Move your mouse over the page where the PDF resides until a “download to your computer” symbol appears. Click it, and the file will be transported to your downloads folder (sometimes it goes to the last folder you had opened). Try that and if it still doesn’t work, let me know. Happy Thanksgiving.